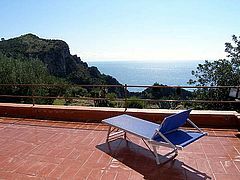 Above the picturesque bay of Cala Fortuna near Marina di Camerota, the premises of the holiday home of the same name stretch right up to the steep coast of the maritime wildlife park of Infreschi (core zone of the Cilento National Park/Southern Italy). The sea here literally lies at your feet. 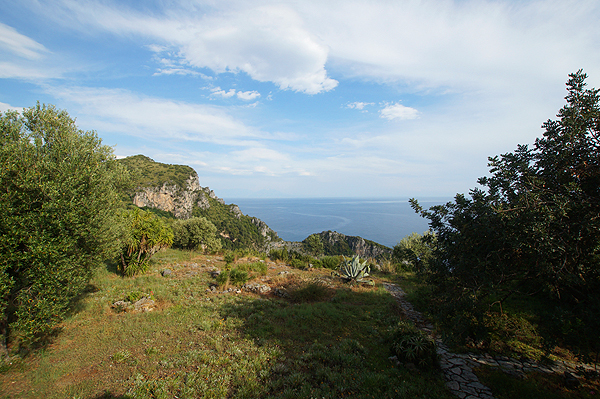 The 4,000 m², partly rocky property is planted with centuries-old olive trees, with palm trees and Mediterranean macchia: truly Southern Italy! 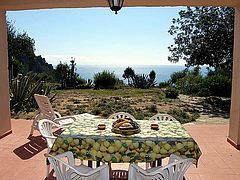 The sandy beach of Lentiscelle is at a walking distance of only 900 m. The idyllic coastal path, a former mule-track, passes directly at the premises of the villa. 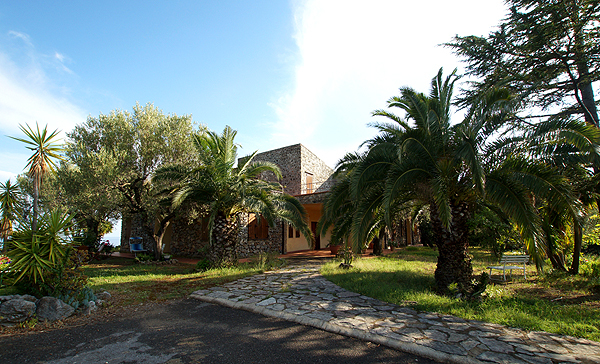 Family Amodio’s spacious holiday home in Southern Italy includes the so-called Casa Principale ("main house") and two lateral 'granny flats'. The heart of the villa is the ca. 80 m² living-dining room on the ground floor of the Casa Principale. 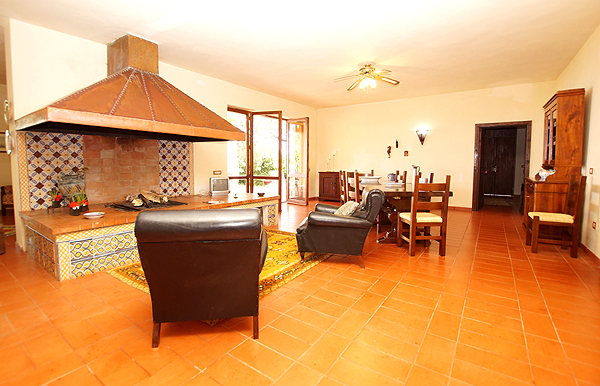 In its center, the stylish open fireside divides the room into a living area and a dining area. 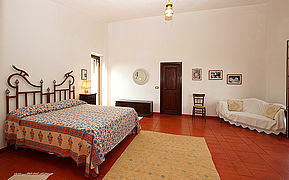 The furnishing is tasteful country house style, with partly antique furniture. 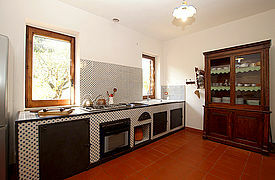 The separate kitchen "in muratura" (brickwork) with handcrafted wall tiles is equipped with a gas stove, an oven and a refrigerator with freezer compartment. From the living-dining area you access the roofed terrace and the garden. 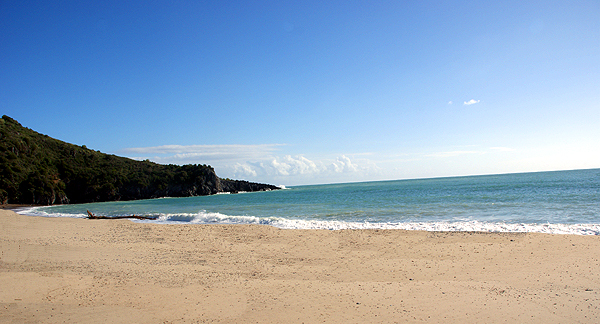 Enjoy wonderful holidays amidst palm trees and the view of the impressive steep coast. In the villa’s outdoor area you find tables and chairs as well as loungers and deck chairs at your disposal. The two spacious double bedrooms (one with queen-size bed) on the first floor are adorned with traditional Florentine terracotta ovens. In one of the bedrooms you can add an extra bed. 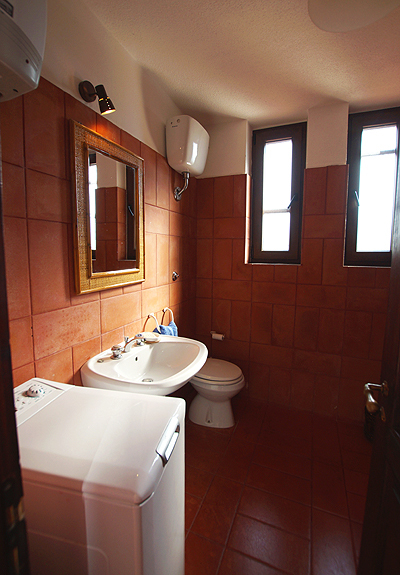 Furthermore, each bedroom has an en suite bathroom with shower and WC. 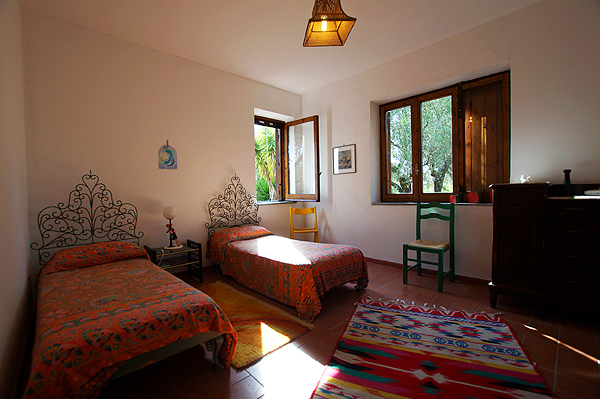 Both bedrooms open onto the 150 m² roof terrace, which offers a great view of the sea. The two self-contained apartments are accessible from the living-dining area, but they have got separate entrances from the outside. The apartment to the right, which can be rented additionally, has two bedrooms (a double and a twin) and a bathroom with shower and WC. 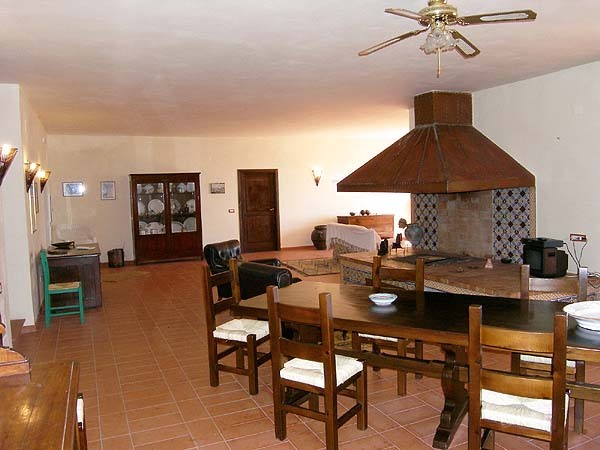 The apartment to the left is used, every now and then, by the tactful owners, who take care of handing over the keys and look after the garden of this Southern Italian holiday home. 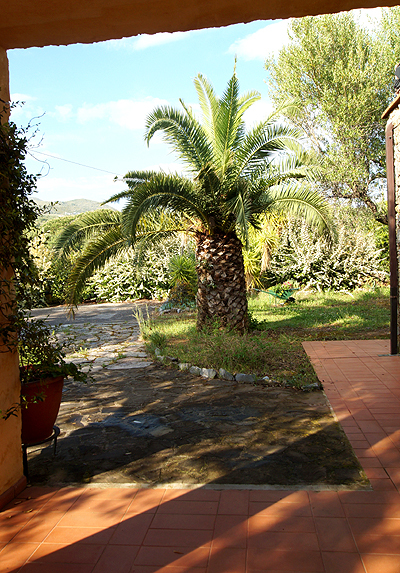 Additional features of the holiday home: washing machine, WiFi, outdoor shower, grill. 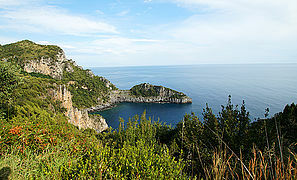 Right from the holiday home, you can start on a hiking tour to the bathing bays of Cala Fortuna and Porto Infreschi. They are accessible only by boat or on foot (yellow-blue markers) and, for many years now, they have been among Italy’s most beautiful beaches. 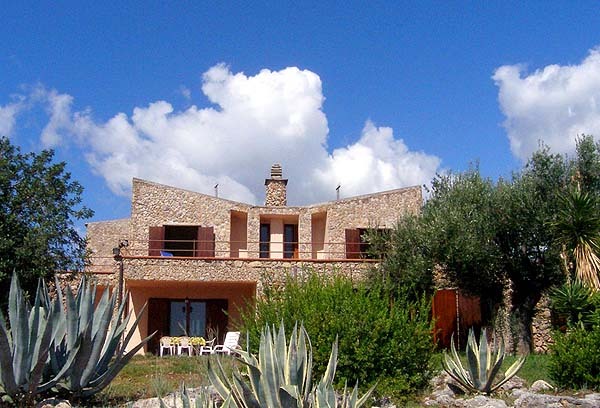 The center of Marina di Camerota and the nearest shops are about 2 km from Villa Cala Fortuna. There are bars, restaurants and supermarkets which are open year round. Parking: You can park your car on the premises. The sea at your feet: marvelous view from the terrace of the holiday home. 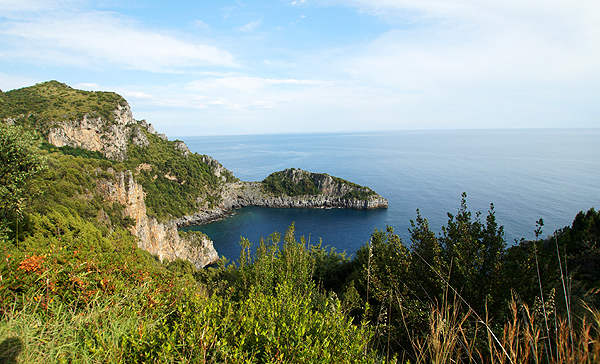 Namesake of the holiday home: view of the rocks of Cala Fortuna bay. 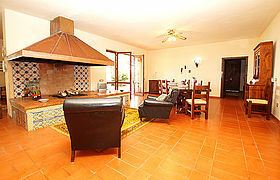 The spacious living-dining room, with the lovely open fireside 'separating' the two areas. 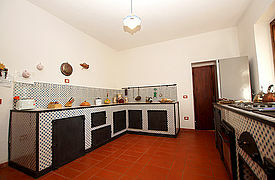 A lot of room for cooking in the villa’s masonry kitchen. 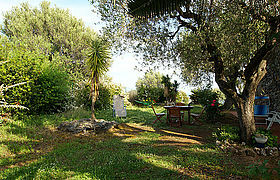 Old olive tree, palm trees and macchia Mediterranea: the picturesque, ca. 4,000 m², partly rocky premises of Villa Cala Fortuna. Fantastic sea view from the villa’s roof terrace. 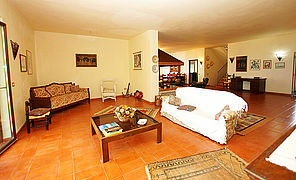 One of the two spacious double bedrooms on the 1st floor of the holiday home. Family Amodio’s villa in Southern Italy is tastefully and spaciously designed: here, the living area, in the background the fireside and dining area. Framed by palm trees: view of Villa Cala Fortuna from the rear. 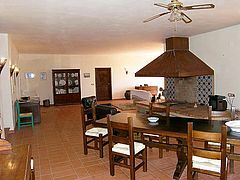 A lot of space: the more than 80 m² living-dining area with its beautiful fireside. 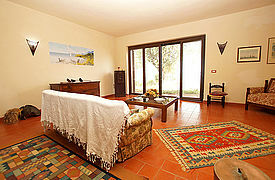 The living area opens onto the villa’s very idyllic outdoor area with terrace, garden and sea view. 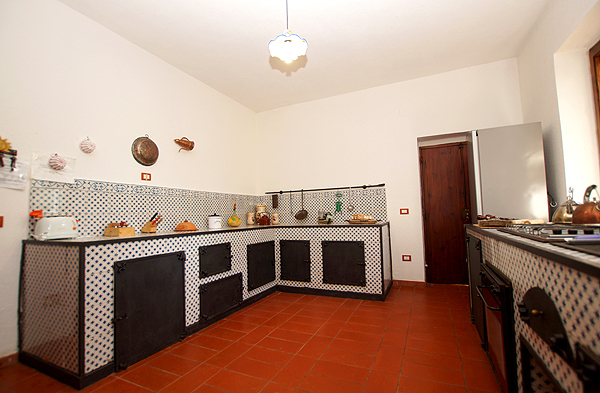 The separate kitchen &quot;in muratura&quot;. 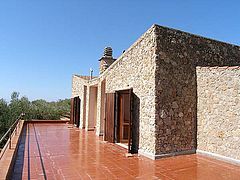 The sun terrace on the upper floor. Relaxing: view from the premises towards the open sea. 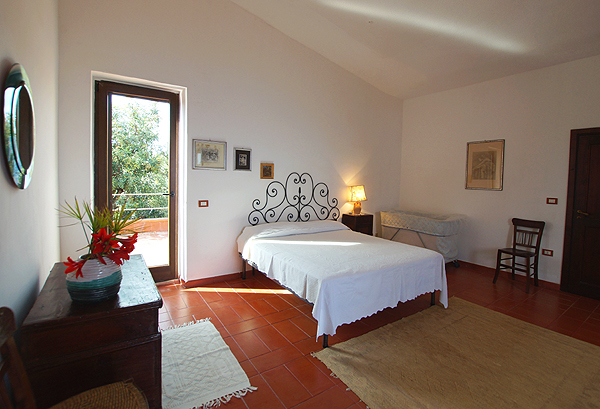 The second bedroom in the main house with access of the roof terrace. 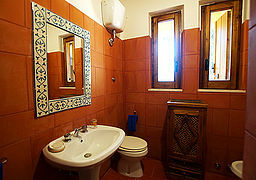 Glance into the bathroom of the main house. 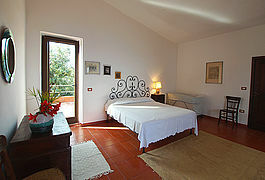 ...includes another two, cozy bedrooms. 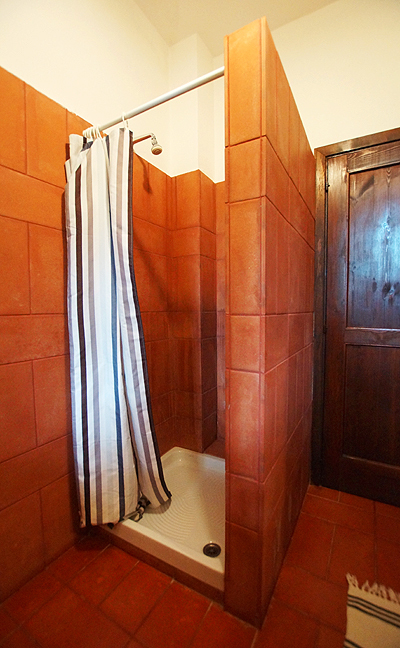 Glance into the well-tended bathroom of the dependance. Masonry shower at the dependance. Sehr schönes Grundstück mit Meerblick und groß geschnittenes Haus. Wechsel von Steilküsten und Sand-/Kiesstränden, antike Funde. Unser Tipp: Ausflug zur Kartause von Padula sehr empfehlenswert! Wir kommen wieder, weil es eine schöne Region ist mit freundlichen Menschen, gutem Wetter und schönen Stränden! Die Vermieter waren äußerst freundlich und hilfsbereit bei allen Fragen. Das Haus mit den großzügigen Räumlichkeiten ist sehr schön und angenehm. Insgesamt haben wir den Urlaub sehr genossen. Tolle Lage, Blick und Größe. Zu empfehlen: Enoteca am Hafen in Marina di Camerota - und wie immer Nicola in Brera. Besonders gut gefallen hat uns die Natur und der sanfte Tourismus, die Lage der Unterkunft und der Blick. Wir können uns vorstellen wieder zu kommen, es gibt noch viel zu entdecken! Schönes haus, tolle Lage und Aussicht. 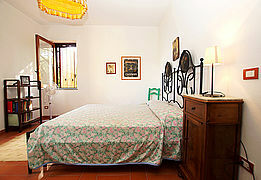 Prices per week are valid for the number of persons given in brackets and include bed-linen, towels and final cleaning. * During travel period 29.06.-31.08.2019 both Casa Principale and the additional apartment have to be rented. 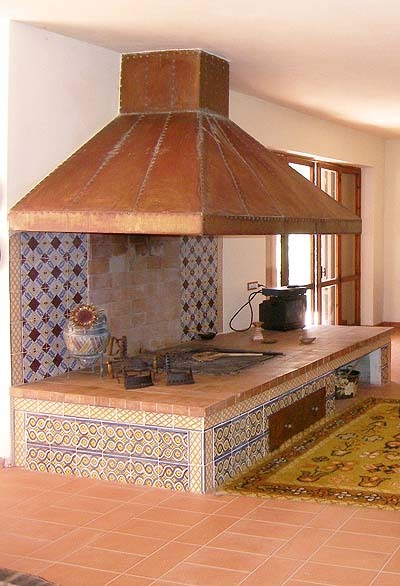 Optional: Heating (open fireside and terracotta ovens) is charged on the spot according to use.